An Advent Course in three sessions, based on the text and inspiration of Bishop of Oxford, the Rt Revd Dr Steven Croft. The text for the course has been written by Bishop Steven. 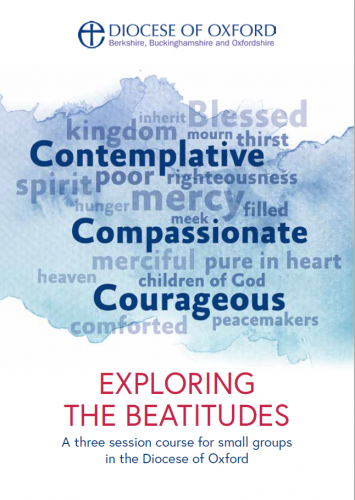 Bishop Steven said: ‘I’m hoping churches will use this specially written resource to help them study and understand the Beatitudes. For me the Beatitudes have eight beautiful qualities, but eight is quite a lot to remember so I’ve been keen to capture what they mean in three words: contemplative, compassionate and courageous.